According to R. Allendy, it is the ratio of the individual Karma, 6, to the organization of the Universe, 30, and the cosmic solidarity which results from it in the natural cycles. The number of the initiation, J. Boehme associates it with the “angelic world” because it is the sum of the eight firsts numbers. In other words, it is the number of the sky. Represent the devil or Satan, as well as the evil which it personifies. It is the number of years after the crucifixion of the Jesus-Christ where Saint Paul was put to death. 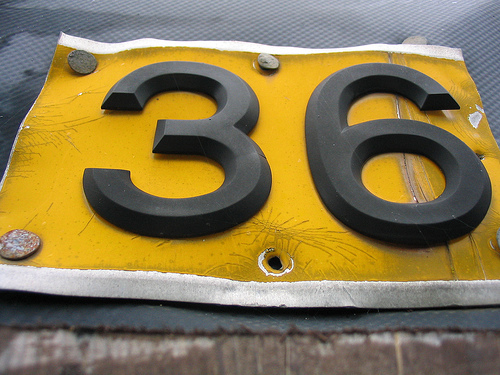 The number 36 (Thirty and Six) is used 1 time in the Bible. Joshua 7:5 And the men of Ai smote of them about thirty and six men: for they chased them from before the gate even unto Shebarim, and smote them in the going down: wherefore the hearts of the people melted, and became as water. It is this authors opinion that Gnosticism is at the heart of all of the numeric coding in the Bible. This includes stories, allegories, and parables as well. From the astral-theological perspective, nearly every numerical reference in the Bible encodes deep ancient knowledge including physics, biology, and chemistry. The number 36 is deeply linked to the sun and this knowledge has been carried forth through the magic solar square. As a mystical concept, the number 36 is even more intriguing. It is said that at all times there are 36 special people in the world, and that were it not for them, all of them, if even one of them was missing, the world would come to an end. The two Hebrew letters for 36 are the lamed, which is 30, and the vav, which is 6. Therefore, these 36 are referred to as the Lamed-Vav Tzadikim. This widely held belief, this most unusual Jewish concept is based on a Talmudic statement to the effect that in every generation 36 righteous “greet the Shechinah,” the Divine Presence (Tractate Sanhedrin 97b; Tractate Sukkah 45b). The Lamed-Vav Tzaddikim are also called the Nistarim (“concealed ones”). In our folk tales, they emerge from their self-imposed concealment and, by the mystic powers which they possess, they succeed in averting the threatened disasters of a people persecuted by the enemies that surround them. They return to their anonymity as soon as their task is accomplished, ‘concealing’ themselves once again in a Jewish community wherein they are relatively unknown. The lamed-vavniks, scattered as they are throughout the Diaspora, have no acquaintance with one another. On very rare occasions, one of them is ‘discovered’ by accident, in which case the secret of their identity must not be disclosed. The lamed-vavniks do not themselves know that they are one of the 36. In fact, tradition has it that should a person claim to be one of the 36, that is proof positive that they are certainly not one. Since the 36 are each exemplars of anavah, (“humility”), having such a virtue would preclude against one’s self-proclamation of being among the special righteous. The 36 are simply too humble to believe that they are one of the 36. There would have been 36 antipopes in the history of the Catholic Church. Others sources speak rather about 37 or 39. According to visions of Ann-Catherine Emmerich, during the crucifixion of Jesus, executioners sink the four nails of 36 knocks of a hammer. The Bible, Protestant edition, contains on the whole 66 books and one estimates that was written by 36 different authors who were kings, farmers, mechanics, scientists, lawyers, generals, fishermen, pastors, priests, collector of tax, doctor or others. According to the Apocalypse of Moses, after Adam and Eve had been expelled of the Paradise, they chose to make penitence so that God has pity them. They decided that Eve would remain 36 days in the water of the Tiger in silence and that Adam would pass 40 days immersed in the Jordan while fasting. The age which had Buddha Gautama when he discovered himself in one of his ecstasies. Mahomet was 36 years old when was rebuilt the “Kaabah” (sanctuary of Mecca) which had been burnt partly. It is him that posed the black stone. The Law written in The Roller of the Temple of the writings of the library of Qumran specified that the king had to have a committee of 36 members (12 princes, 12 priests, and 12 Levites) sitting with him for the judgment and the instruction. According to the Gnostic Basilides, the intermediate world between the hyper-cosmic Archetype and our earth (the real link of the cosmic solidarity) had 36 floors, each one governed by an “Archonte”. It is at the age of 36 years old that Saint Joseph would have taken for wife the Virgin Mary, according to Edgar Cayce. The gnostic Egyptians considered the 36 decans of the astrological Zodiac extremely powerful; a decan being the space which covers the sun in ten days. The Maori of New Zealand say that concerning the creation of mankind by the God Tane, 36 gods took an active part in assembling the various parts of the first human before Tane breathed life into her. Some astrologers admit cycles of 36 years to the end of which the various planetary influences are combined in a similar manner. According to Maspero, it is one of the astronomical coordinates of Lo-Yang, the old imperial capital (that is to say sixty twelve divided by two) the other being fifty-four. According to Diodore of Sicily, Sesostris divided Egypt into 36 Provinces. The historians have noticed that some particular events were repeated in the history by multiple of 36 years, such floods of Paris in 1658, 1802 and 1910. The Chinese astrology counts 36 beneficial stars and 72 malefic stars, their sum gives the sacred number 108. 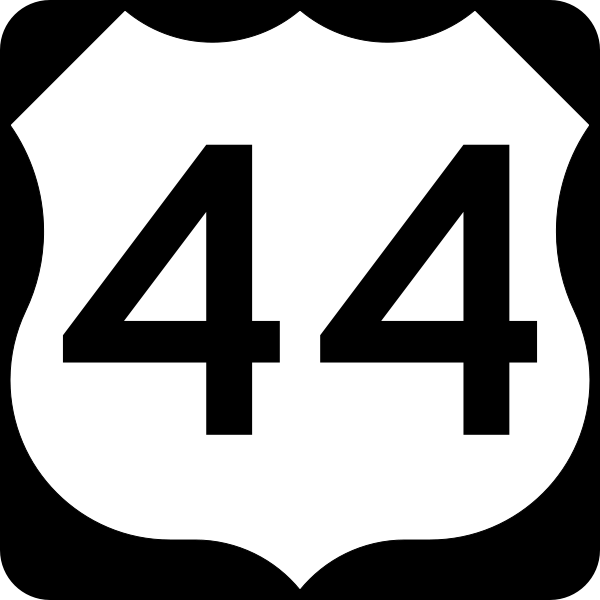 The numerical values of Hebrew words AEL meaning tent or tabernacle, AIKE meaning “how?”, ALE meaning to curse, BDL meaning to separate, ELA meaning to remove, and VIDVI meaning confession, gives each one 36. 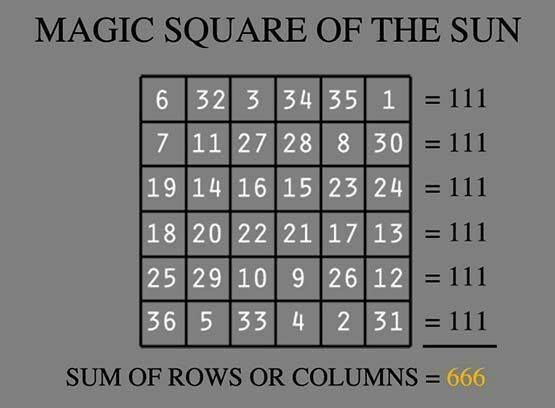 The magic square using the thirty-six first numbers is associated with the sun and has for sum 111. It is the number of the Great Quaternary of the pythagoricians, obtained by the sum of the first four odd numbers, 1 + 3 + 5 + 7 = 16, and the first four even numbers, 2 + 4 + 6 + 8 = 20. Also: 36 = 13 + 23. The sum of numbers 1 to 36 gives 666, the number of the Beast in the Book of Revelation of the Bible.